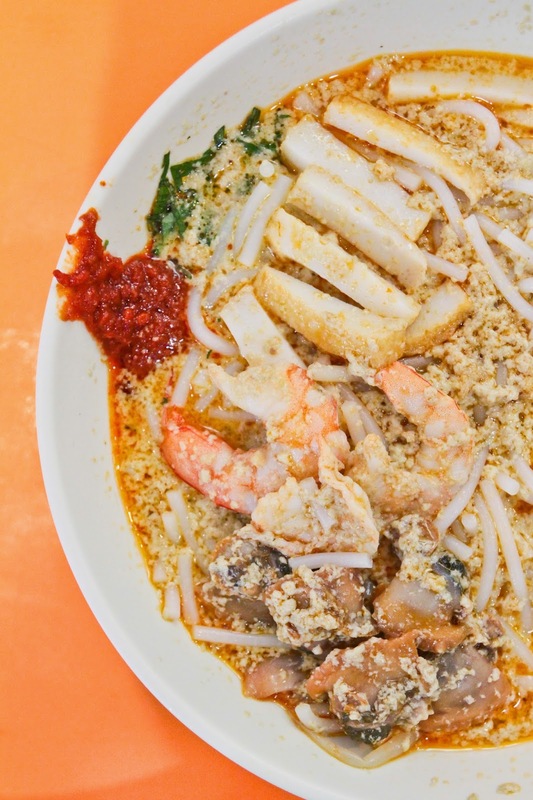 Janggut Laksa was previously known as Marine Parade Laksa which closed in 1978 due to an increase in rental. 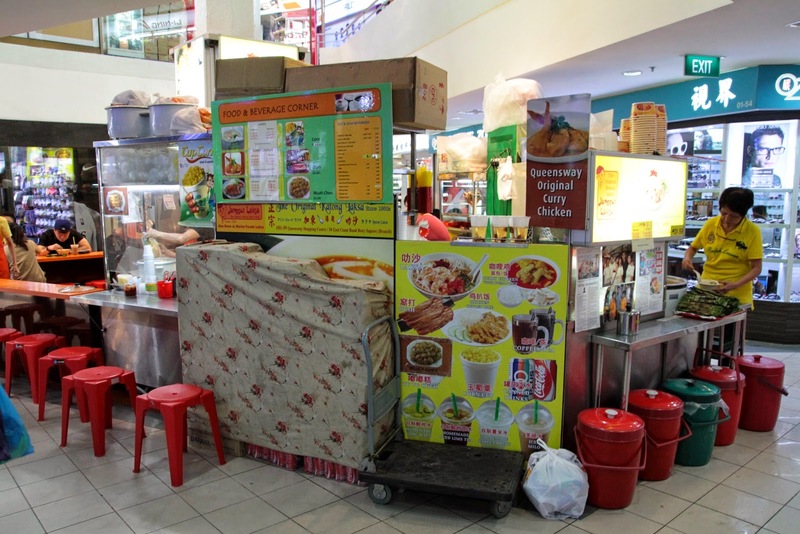 Their original stall location has been taken over by the current owners of 328 Katong Laksa. However, after a few years of relocations and expansions, they have finally have two branches at Roxy Square and Queensway. Janggut Laksa serves laksa with spoons, cutting the bee hoon short to make them easy to scoop. The gravy is mildly spicy and has a slightly gritty texture from the dried shrimps used to make the gravy. The origin of the name "laksa" is said to be from the Chinese word 辣沙 (La Sha), meaning "spicy sand" and Janggut Laksa fits the description. How about the word Janggut? Janggut, beard in Malay, was the nickname given to the founder of Janggut Laksa as he had a few hairs growing out of a mole on his chin. Be sure to see the store's logo where there is a man with strains of hair growing from a large mole. My apologies for photos that don't look extremely professional where you get fresh vegetables and large looking prawns without any gravy on them. I do not do reviews where I get the stall owners to arrange the food items to make them look more appealing. I want my readers to know what they will be getting. I would only whip out my camera after the first item is served to keep it as non-bias as possible. The friendly staffs will do their best to find a seat for you and take your order. You will pay after everything has been served to you! I visited Janggut Laksa at Queenstown Shopping Center on 24/05/14. The gravy is not greasy as you don't see large amount of oil floating on top. It is fragrant with hints of Fresh Coconut Milk. The chilli added is to compliment rather than making the dish extremely spicy. I'm sure many Laksa lovers would prefer their Laksa to be extra spicy. However, you can always add extra chilli yourself! An important thing to highlight is the portion which maybe petit for the price you pay. Despite its shortcomings, the amazing gravy is a MUST TRY. The place is tight. You will probably want to leave once you are done. 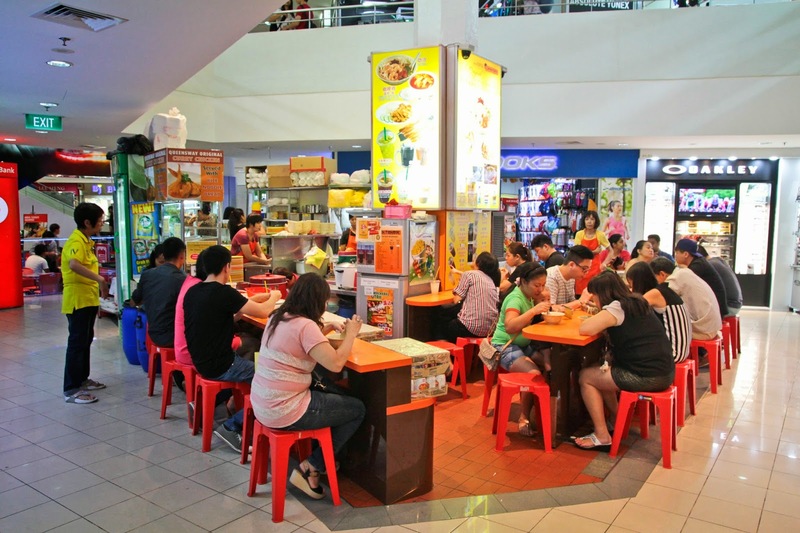 - The branch at Queensway Shopping mall is a small kiosk where people come for a quick meal. 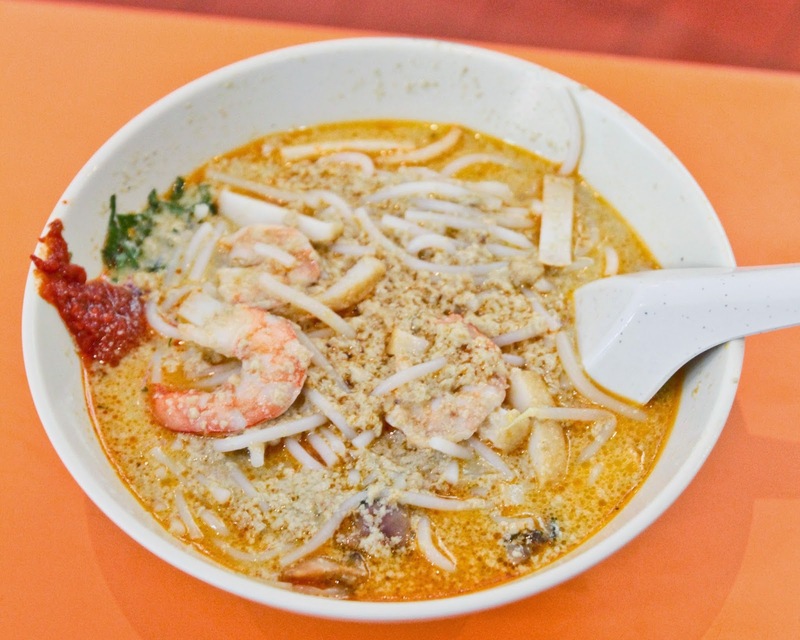 - The Laksa is not spicy, great for those who don't take spicy food often. Chilli can be added to make the Laksa spicier. - It gets crowded during lunch time but short waiting time as customers leave once they are done. - They maybe considered expensive as the portions are small.